Hey Ladies! Here is a great opportunity for you all to get to know our current Bruin Hermanas and our amazing alumni a little more. This site will reflect how Hermanas Unidas has greatly empowered Latinas on campus. Take a moment to read these stories, you’ll truly be amazed by the resilience and intelligence of all your Hermanas. If you would like to share a thought, a story, or simply share some love and words of encouragement you can email: ucla.herstorian@hauchapters.com. Coming to a school with thousands of students and unfamiliar faces can be overwhelming, especially when you’re away from home and have to learn how to navigate through such difficult classes. My first quarter I came into college with the mentality of getting involved in different clubs and extracurriculars. I remember attending my first Hermana meeting, and how welcoming everyone was. However, as we got deeper into the quarter I felt too stressed to be attending meetings and other HaU events. I felt as if I needed to dedicate all my time to studying because I hated feeling completely lost in lectures and not being able to understand the material like other students did. Although, studying is a key component of succeeding in college, I had closed myself off to everyone and put myself into a very depressing environment. So my next two quarters I promised myself I would become more active within HaU, and that’s one of the best decisions I’ve ever made. 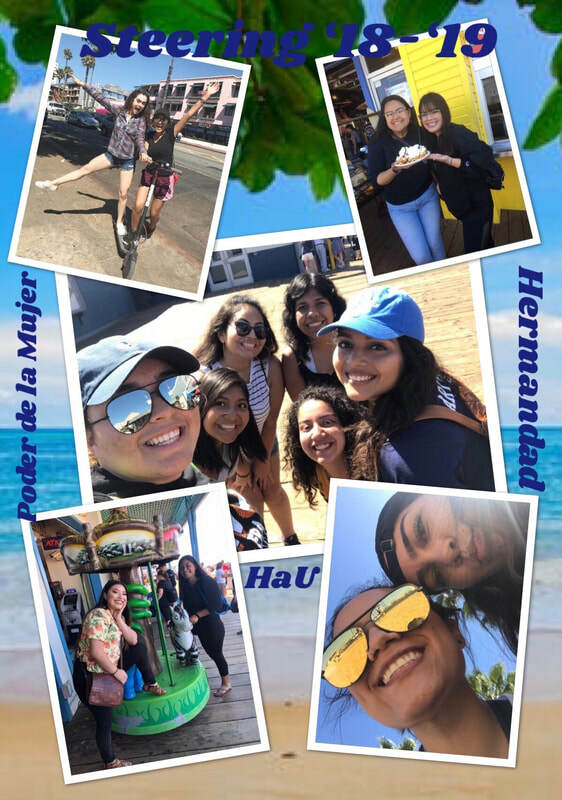 I started by attending Spring Retreat where I got to meet so many Hermanas that I had never talked to before and whom I am now really close friends with. Since then, I have tried my best to attend all the events I can because nothing makes me happier than spending time with such amazing women who motivate and encourage me to push myself not only in school but in life. 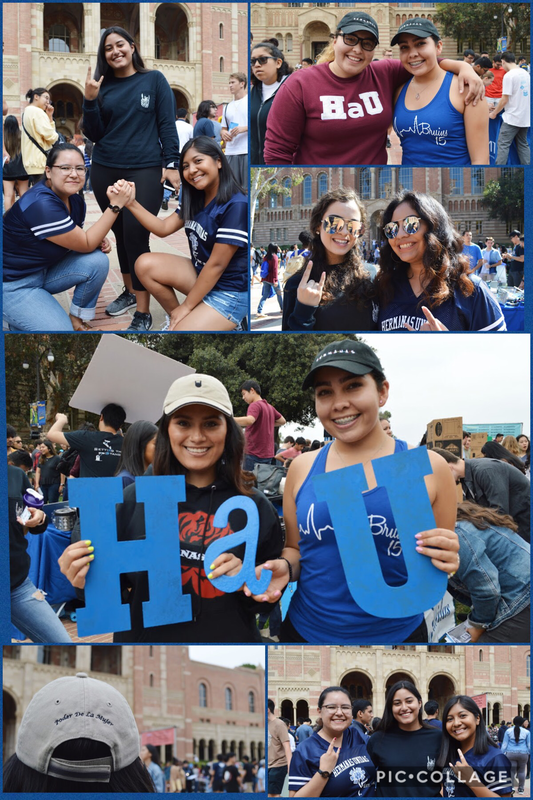 Now as I continue my second year at UCLA, I can truly say that HaU has made my college experience amazing. This wonderful organization has provided me with a space full of love, strength, and motivation which continues to push me and never fails to lift me up. Hello! My name is Armida Reyes. I am a third year at UCLA majoring in International Development Studies and a minor in Geography. This quarter is going rough academically because I have finally started upper divisions and it’s been crazy with all the work. 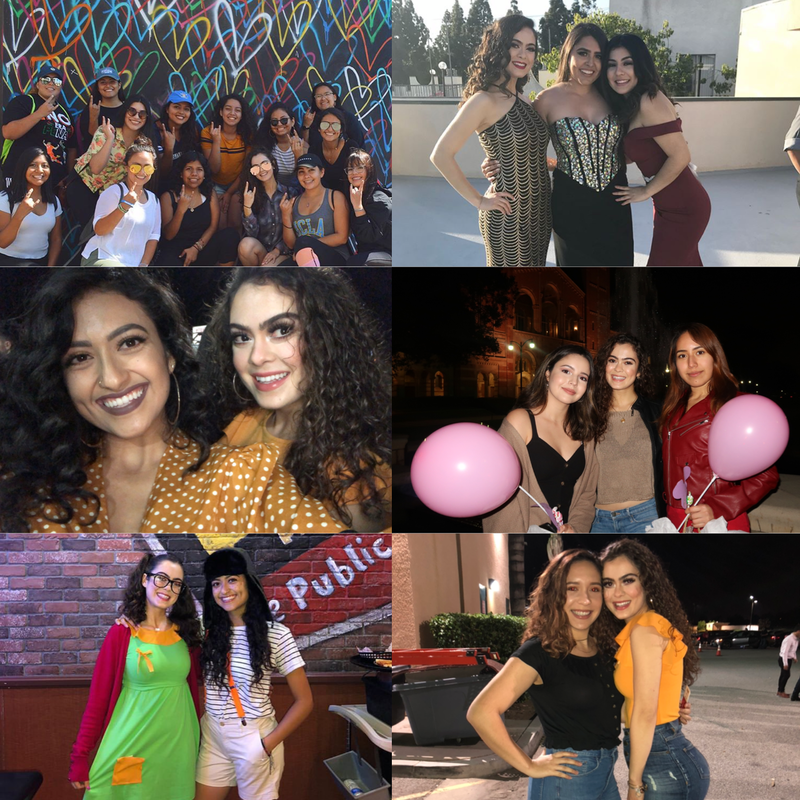 However, this quarter has been amazing thus far in my personal life because I have met really amazing friends through Hermanas Unidas. I am extremely grateful for this organization because it saved me from feeling outcasted here at UCLA to it feeling like home and a safe place for myself. Being an intern for the Academic Chair, Heydy Arias, has allowed me to learn more of the backend to the organization and allows me to give more to HaU. I strongly feel the saying “Once an hermana always an hermana” is really present in HaU. I want to welcome anyone and everyone to come to HaU to learn more about themselves even if you feel shy and scared at first, push yourself to just jump. I want to end this with saying: The best is yet to come. Growing up my mom and I never got along. We fought almost everyday. Neither of us felt content unless the other one was miserable. I remember having so much hatred for my mom, I blamed her for all the trials in my life: divorcing my dad, having a one-bedroom apartment, working a full-time job, but most importantly her unmotherly nature. I only really hated my mom because I thought she hated me. She never onced hug me, kissed my cheek or uttered the words “I love you”. Whenever I would visit my friend’s house and see their relationship with their mother I would run to the bathroom and cry. I was filled with envy. I always felt as if a true “mother” was attainable, as if it was never meant for me to experience. As the years passed, my mom and I learned to work out our differences. It wasn’t perfect but it was definitely better than before. The day I graduated high school was one of the most memorable times I have ever experienced with my mom. When I received my diploma and was reunited with my family I remembered the look on my mom’s face as I walked towards her. At this very moment is when my mom hugged me for the first time. Time felt infinite and we were both happy for once. The day I left college my mom did not come to help me move in, instead she gave me a quick hug and a written letter. I should have been excited on my move-in day but instead felt miserable the whole drive to my dream school. I unpacked and my siblings stayed for a bit and when they left I was completely alone. I laid in my bed to read the letter my mom had wrote me. Reading that letter made me finally realize that my mom has always been a true “mother”. I was blinded my whole life by my hatred. My mom never knew how to project her love towards my siblings and I because she herself did not know what love was. Her mother made her believe she was insignificant and worthless. When my mom got pregnant at 15, her mom kicked her out and made her figure it out herself. She moved in with my dad’s family was treated horribly there too, they constantly belittled her. Despite this she was able to graduate high school at age 16 and attend college part-time. My dad’s family grew to love her and taught her to do laundry and cook since her own mother could not teach her. Unfortunately my mom could not finish college, she left my dad due to his domestic abuse and his one-year affair with another woman. For a year we were homeless, moving from couch to couch to any family member that will take in my mom and her 4 children. Miraculously my mom was able to get a part-time job and get a one-bedroom apartment. My mom always struggled with money but never told us, she will make sure we will well fed, well-dressed, and made sure we enjoyed being children. Even though she would go to bed starving and only had one pair of good jeans she never complained, our happiness is what she valued above all. The end of that letter in black ink were the words “I love you”. My mom is my inspiration. The reason I am striving to be the best I could be is her for. My success would not have possible without my mom. My diploma is dedicated to her undeniable, unseen love for me. Transitioning to UCLA as a first generation college student was nothing less than intimidating because I felt I had to not only navigate this institution without the guidance of my family, but do it entirely on my own. After joining Hermanas I realized that this couldn’t be any further from true. My strength comes from the people I surround myself with; the women who have already been through it and can understand and validate all the emotions that come with the struggles. 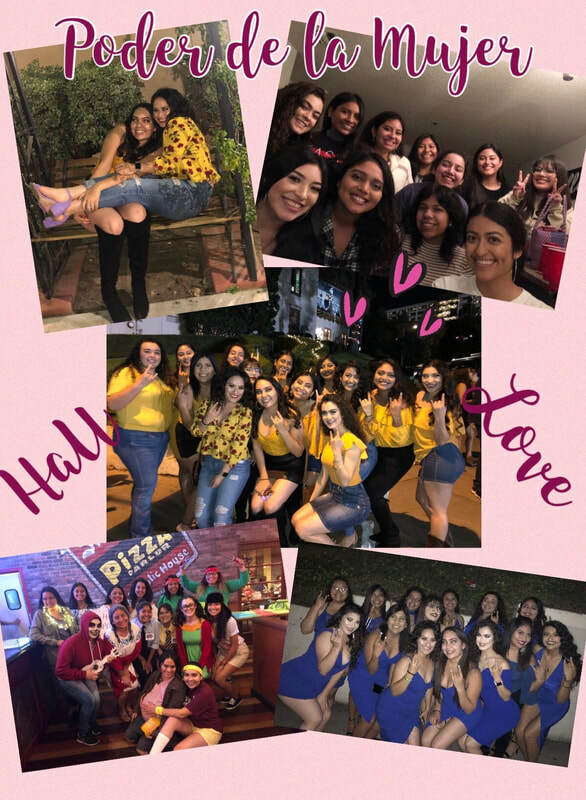 I love Hermanas because being surrounded by intelligent, motivated, hard working, ambitious, and passionate women constantly inspires and uplifts me, even on days I feel discouraged or questioning myself. The relentless positive energy you all bring to my life grounds and reminds me of who who we are. I remember this is bigger than just ourselves as we’re constantly breaking barriers and resisting the institutional oppression that has and continues to keep people like us out of these spaces. It also reminds me how lucky I am to have these role models, especially in older hermanas, because there were women before us who didn’t have the same privilege; they didn’t have these spaces to provide them with the guidance, support, and friendships that I have found in all of you. There were women who practically did have to do it entirely on their own. I find my strength in all of you. I’ve always felt Mexican. Ever since I was little I’ve had pride in my family and heritage, and not once hid my roots from people. However, here at UCLA I often find myself feeling like an impostor. Being at this institution and learning about Chicanx history has opened my eyes to the injustices that our community has faced/faces. I can relate to my communities struggle, but I have learned that I have a unique privilege: I am white passing. Fair skin, red hair, freckles. When my fellow Hermanas use the phrase “I love walking into a class and seeing people who look like me” I cannot fully relate, because most lecture halls here have students who look like me. 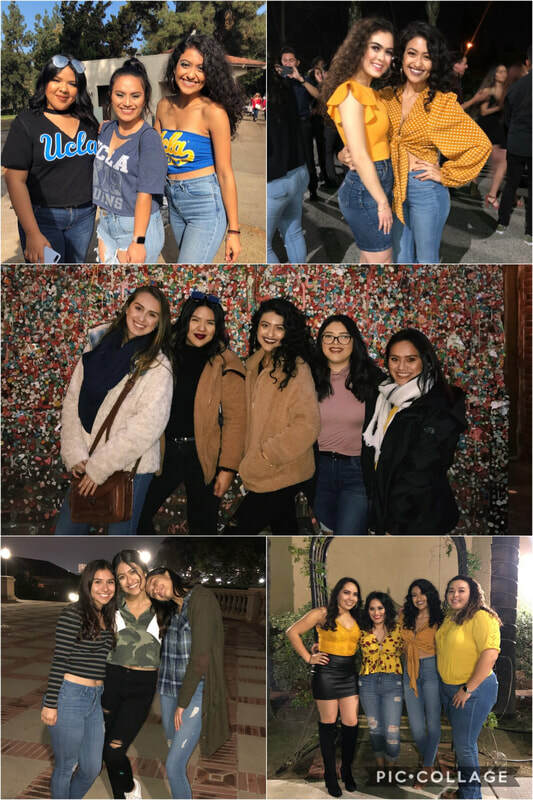 I feel Mexican, and I identify with the Latinx community, however I have recognized that my experience at UCLA, while important, is still different from some of my Hermanas. I hope that anyone who has a similar experience is able to recognize their privilege, and be able to stay true to your roots and values. I'm a really shy person to the point where even just saying hi to someone seems terrifying at times. I joined Hermanas Unidas because I decided it was time to stop being scared and start putting myself out there. I didn't join my first year of college because of the fear of being alone but my brother, who was in Hermanos Unidos de Cal State LA, always talked about all the great times he had and so I gave it a shot. I went to the first meeting of Fall Quarter 2018 and I became an Hermana. 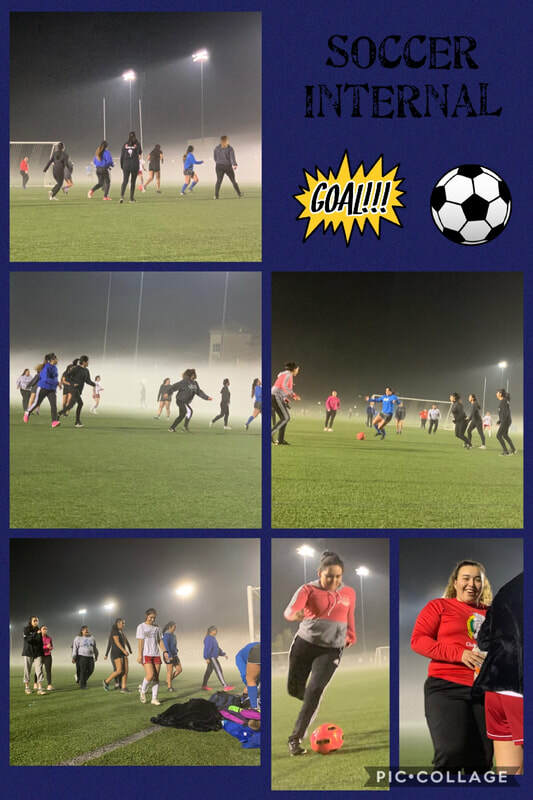 I was really excited because I knew of girls who were in HaU and they always seemed to have so much fun and I wanted to be a part of that. I filled out the form to get a big and I'm so glad I did. I applied to be an intern for the HaU Advisors and I'm really happy I got one of the positions!! It all still seems a little scary but little by little I'm getting the hang of it and I'm really proud that I took these steps to start putting myself out there and do some things I wouldn't normally do. 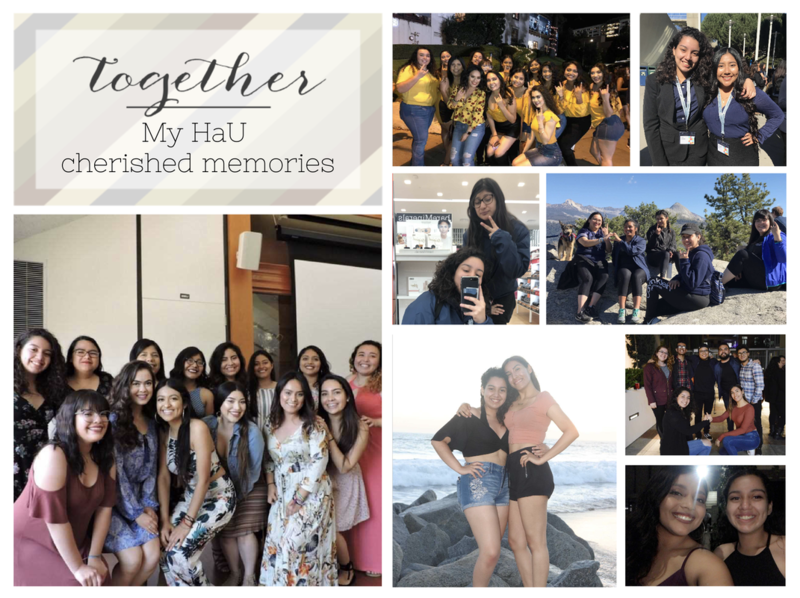 I'm excited to start getting to know all of the wonderful and beautiful ladies in HaU and make memories that I'll cherish forever. All of steering and general body seem so loving, funny, and outgoing!! Ya'll are amazing and I know that I made the right choice. I love going out on adventures. I love exploring LA and trying out new foods from different restaurants I find on Instagram or from recommendations. I love watching sunsets and going to the beach, exploring museums, hiking… basically anything touristy I love to do. Besides that I enjoy watching shows like The Bachelor/ Bachelorette and Grey’s Anatomy. I enjoy watching Youtube videos that are beauty and fashion related because I get makeup and outfit inspiration from them and through my makeup and outfits I express myself and I like being creative and being inspired by other beautiful mujeres. My journey through UCLA has been filled with many learning experience. Learning about myself and the value others can bring into my life. I have meet so many great people, I see staying in my life for years to come. ​As a third year, my time at UCLA is slowly coming to an end. I would like to make the most out of it. Something I look forward to this quarter would be doing well in my classes. I know this might be something everyone says but this is my first quarter where I will be taking four classes. In previous quarters, I wouldn't do good and usually drop a class so I think challenging myself this quarter will benefit me. This is something I believe will help me continue my growth as a person in that it will help me organize and prioritize things going on in my life. I will finish strong this year and am excited to see what next school year has in store. Coming to UCLA felt like a new world to me. There were so many new classes, organizations, and opportunities to explore- it was all pretty overwhelming yet fascinating! I wanted to be involved with campus life, whether it was through community service, social networking, and academic services. Thankfully I found Hermanas Unidas where I am able to do it all and achieve much more. Hermanas Unidas welcomed me to a friendly and trustworthy environment ever since I attended my very first meeting. From this moment on, I new I had gained a family away from home. It is because of Hemanas Unidas that I have made some of the best memories at UCLA. 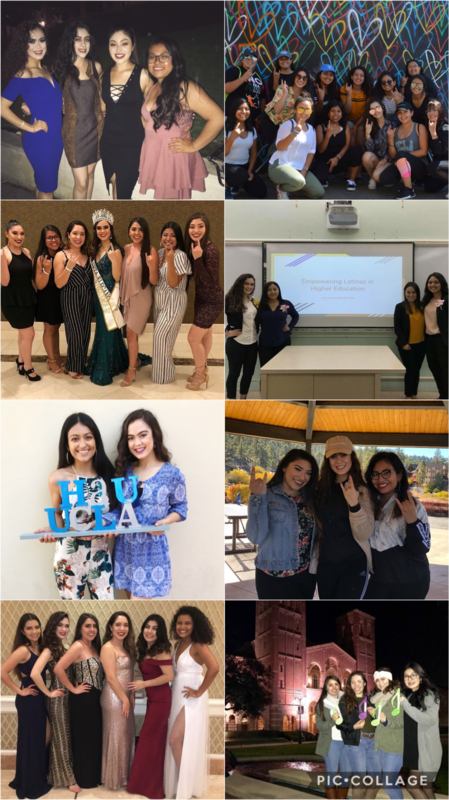 These memories include when I went ice-blocking for the first time, when I was announced the 2018-19 HaU Student Advisor, and when I volunteered at the Adelante Mujer Latina Conference. Moments like these are what keep me active on campus and motivate me to do better day by day. These are only a few memories out of the millions I have with my hermanas. 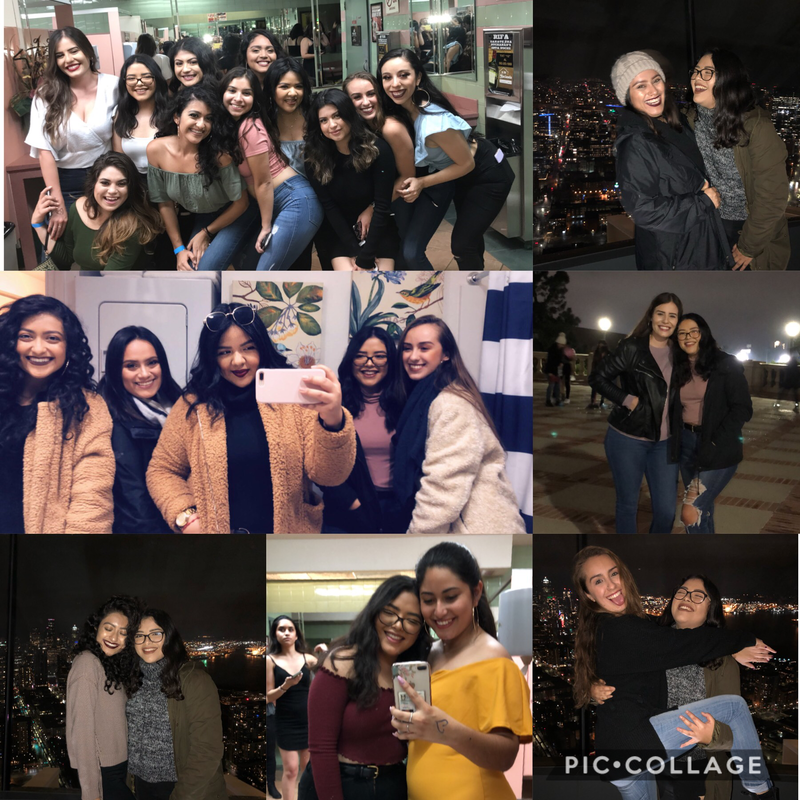 For all these memories I would like to thank Hermanas Unidas because they have and will continue to make my time at UCLA worth it. It is through Hermanas Unidas where I have created amazing friendships and an endless amount of support systems. My hermanas have seen me at my highest and lowest moments during my time at UCLA. I get to share my accomplishments, struggles, and questions with them and I always receive positive feedback. One of the best parts of the Hermandad that is created through this organization is when I walk into a lecture room and I see an hermana taking the same class as me. It makes a room of 200 students feel much smaller and gives me a boost of confidence. For all these friendships I cherish, I would like to thank Hermanas Unidas because I know that I have Hermanas everywhere I go. My love for Hermanas Unidas is never ending. I have grown to be the enthusiastic and persevering person I am today because of the many friendships and memories that have allowed me to flourish. My experience with this organization will live with me forever and for that I say thank you, HaU. Some pictures of the wonderful ladies that are on this year's steering! Summer 2018 made me appreciative of everything and everyone who was in my life. In the beginning of this summer I decided to change my major one last time to Sociology and add an Education Studies Minor. At the moment, as a incoming third year, changing my major in the middle of my college career terrified me. I had so many doubts going through my head, I felt incapable of doing anything. I pushed myself to talk to those around me and seek for some sort of guidance. For the first time, I set up tons of appointments with different type of counselors. Yes, I went and asked multiple questions but sometimes I would feel more at lost when I left. This journey made me realize that these difficult moments teach you who you truly are. Talking to multiple people helped me shape what I imagined for myself as my future career. When I finally decided to change my major and took my first classes for the major, I knew I made the right decision. I was finally taking classes I was completely interested in. In moments when you feel completely lost, take time for yourself and try to figure out what your end goal is. It may take some time, but when you are ready talk to those you consider close. They can help you organize your thoughts and help you get an outside perspective. Do not be afraid to push yourself when times are rough because in the end this extra push can help you find a solution. 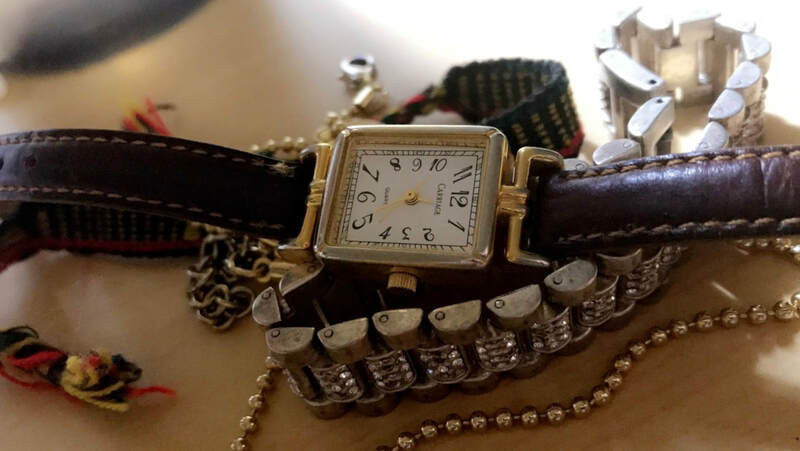 ​As I transition into my third year at UCLA, I’ve learned a lot about life and myself. I’ve come to learn that I am worthy and capable of all the work I have done and will do. I know that there will be hardships and obstacles that will seem impossible to overcome, but I trust in my abilities a lot more than before. The impossible no longer seems impossible. With every accomplishment I feel more empowered. I understand what it’s like to not believe in yourself and I don’t want anyone else to feel that way. I am still growing, so there are still days when imposter syndrome and the anxiety win. On those days I allow myself to feel and wallow. Those days don’t last forever. When they end, I keep going. I am privileged to say that I have found spaces on campus that have welcomed me and allowed me to grow into the badass mujer I never knew I could be. 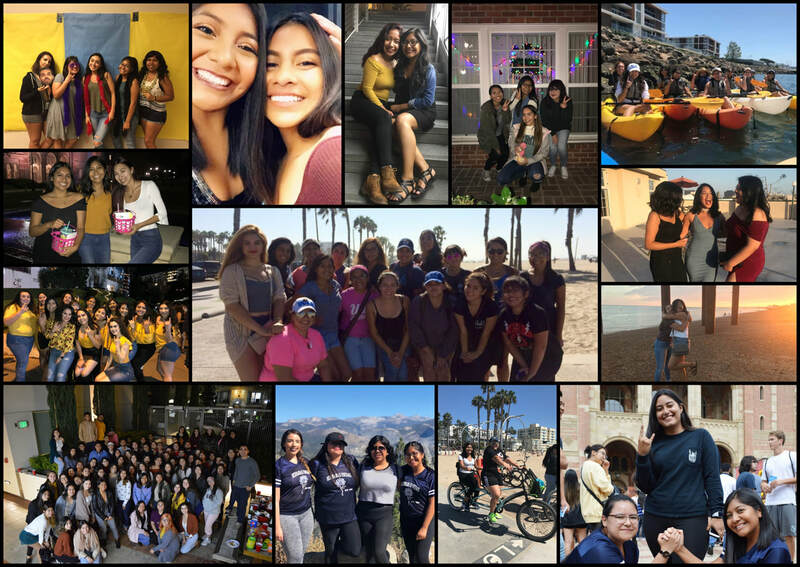 I am still adjusting to my new role as a leader, but I want all my hermanas to know that I am a source of friendship, love, and support. It might sound cheesy and I know many people say this but family to me is truly one of the most important aspects in my life and is the reason why I am the person who I am today. I am incredibly thankful to say I got to spend this past summer with both my family back at home/Mexico and my HaU family. From working at Seas Café with other Hermanas and my Big to taking classes with my other Hermanas. Going to Pico to see Gerardo Ortiz, Regulo Caro, Pancho Barrazao, and T3R Elemento and having a beach social with HU de CSUN where I almost lost my sunglasses but once again my Hermana had my back and found them lol I also got to spend more time with one of my closest cousins who I don’t have as much time to see during the school year because of my limited visits home. I also went to Mexico, watched my parents finally get married after 25 yrs. and share the moment with family I do not get to see all the time but still am very close to. The flight back was interesting because I had to manage seven of us (never flying with so many people again) in checking in and getting us all on board on time. I wouldn’t have spent my Summer any other way and am glad I have two support systems that will fill what the other is lacking. I miss summer and cannot wait to see what next summer will have in store for me. The weeks leading up to my third year were filled with these types of questions heading my way. Honestly, it made me angry, discouraged, tired, and overall frustrated that people doubted that I was still going back to college. Of course everyone has their own reasons for taking time off and they are reasons one should never feel ashamed of. However, when these things are assumed from people around me, professionals, former teachers, loved ones it takes a little bit out of me each time I get asked. It created self doubt within myself as I was heading into my junior year of college. Was I ready for another year? Why was everyone asking? Why did people assume I would take time off or drop out? Do they know something I don’t? Do I not look like a college student? Although it created frustration within me, it also created some sort of fire to just want to prove everyone wrong. And I guess looking into it, yeah it would have been reasonable for me to take time off due to the fact that there were and are things going on in my life outside of school. But one thing I am ABSOLUTELY looking forward to is the look on everyone’s faces when I complete this year. There’s so many things to look forward to and even though it's only week 2 as I write this, I already know that I will finish this year where I want to be. I’m looking forward to just simply DOING this year. To finishing my classes with the grades I promised myself I would get. To finishing the year with having applied to as many summer programs as I could regardless if I get in or not. To successfully balancing school, work, Hermanas, and this wack disease that takes so much from me. To spending time with my Hermanas and helping create comfortable spaces that we deserve at this institution. To hopefully going viral again on Twitter. to the many late night talks and laughs I will have with my friends. This summer I had the incredible opportunity of participating in a Medical Summer internship, where I mentored High School students aspiring to be professionals in the Medical Field. I have to say that this was one of the most eye opening and incredible summers I've had thus far. I was able to work one on one with a Pediatric Physician from La Clinica de La Raza in Oakland, which truly allowed me to ask questions and gain both hands on and verbal knowledge from a Latino already in the field. 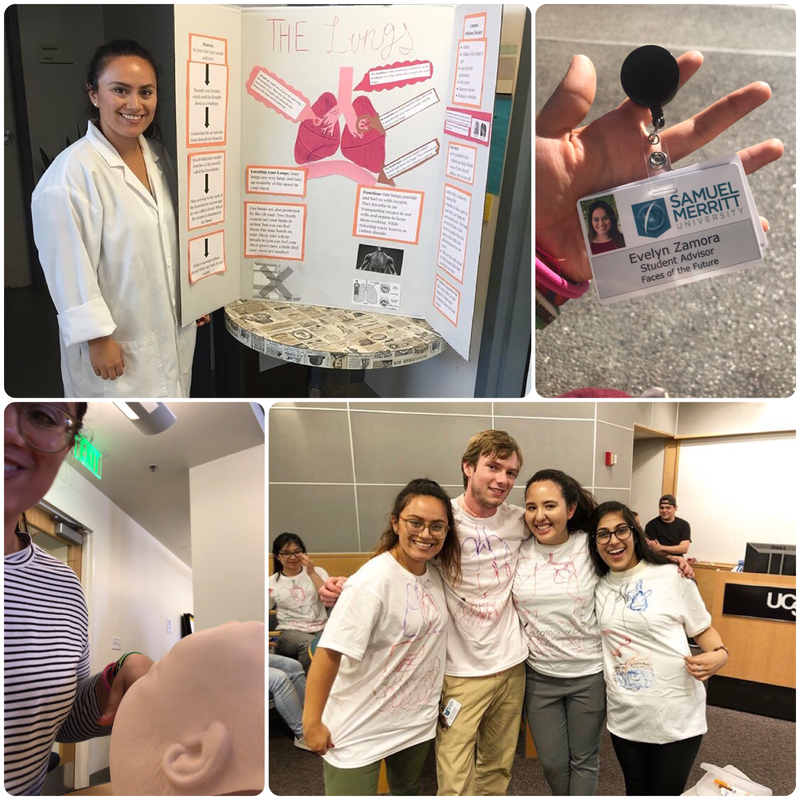 I learned: how to properly place an IV, how to intubate a patient, the different types of vaccines and how they are administered and became an expert on the lungs to present in during the cadaver lab. In addition to these things I learned, I got to work with an amazing team of both undergrads, and alum of different universities all aspiring to join the public health/medical field! It is a summer that I will definitely cherish and take with me as I continue my journey to becoming the professional I aspire to be! P.S If you all have any questions in regards to internships, specifically in the medical field, do not hesitate to ask! I would love to share my experiences with you all! The following posts will be from your fellow Hermanas.